Please consider making a donation to help keep the site running. geraldgardner.com is an online resource for information on Gerald Brosseau Gardner (1884-1964) and his influence on modern Wicca. Since I started my research in 1997 and opened this site in 2001, historians and practitioners have explored Gerald Gardner's life in depth. The most exhaustive research has been preformed by Philip Heselton whose books, Wiccan Roots: Gerald Gardner and the Modern Witchcraft Revival and Gerald Gardner and The Cauldron of Inspiration, are widely available. Also, former publishers of Gardner's two nonfiction books have brought them back into print. I feel that, with the help of researchers and advocates like Philip Heselton, awareness of the historical influence of Britain's earliest Gardnerian covens and their significance to the entirety of Wicca has been increased. 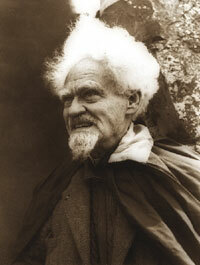 The mission of this site is to provide biographical information and resources on Gerald Gardner and to continue to serve to raise awareness of Wicca's modern history in general and Gardner's historical influence in specific.